Fourth of July Archives | What Should We Do Today? Yay for long weekends and holidays! Here is a mix of activities for your weekend, some are 4th of July related and some are not! Regardless, there is definitely no lack of entertainment this weekend! We’ll be celebrating my “baby’s” 2nd birthday! The second year goes so much faster than the first, don’t you think? I hope everyone has a safe and happy 4th of July! If you’re looking to take a road trip this weekend, the Ashland Balloonfest is a whole weekend of fun events including a kids fun zone, exotic animals, fire trucks on display, COSI on Wheels, concessions and of course, hot air balloons! KidX Club is happening every Friday at Polaris Mall through August 12, 2016. Each week has a theme and this week is Safe Smart! Make an ID bracelet and enter the raffle for a bike helmet! 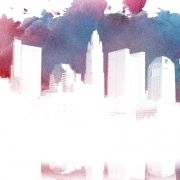 This huge event in downtown Columbus includes a parade, live music, Taste of BOOM, live broadcasts, a children’s park, fireworks and an after party! For kids, the Columbia Gas’ Children’s Park is at the corner of Neil Ave. and Long St.. There will be inflatables, a dunk tank, COSI on Wheels, Columbus Blue Jackets Slap Shot, face painting and more! It will be open from 12:00 PM – 8:00 PM. The parade kicks off at 6:00 PM and will take place mainly on Front St. between Main and Long. Check the website for parking info and lots of details about attending the event! For $5 you can enter Huntington Park for family-friendly fun at the ballpark. Activities include firecrackers, inflatables, zip lining, and two live concerts. Stay to view the fireworks and concert that continues afterwards. Tickets are available for resale or at the ticket office the night of. Some activities have additional costs. Check out the sidewalk chalk art competition during Delaware’s First Friday! This pre-fireworks festival includes inflatables, food trucks and live entertainment! Fireworks start at 9:45 PM! Parent and child can come together to build an Ice Age: Collision Course bowling game. Kids get a certificate of achievement, a workshop apron and a commemorative pin! Family Days at the Pizzuti Collection has been moved to the first Saturday of the month, in conjunction with Gallery Hop! These special days include guided children’s tours at 11:30 AM, 1:30 PM and 3:30 PM and a scavenger hunt. Each child will also be given their own sketchbook! You can read about our visit to the Pizzuti Collection here. This Saturday is your last chance to see the Ohio Roller Girls at home! Children under 8 are always free and games are kid-friendly! Celebrate Independence Day with a parade, music, dancing and other old-fashioned family activities at Ohio Village! This celebration features a Kids Zone and a Teen Zone, a live DJ and a fireworks show accompanied by a live soundtrack on Mix 107.9! 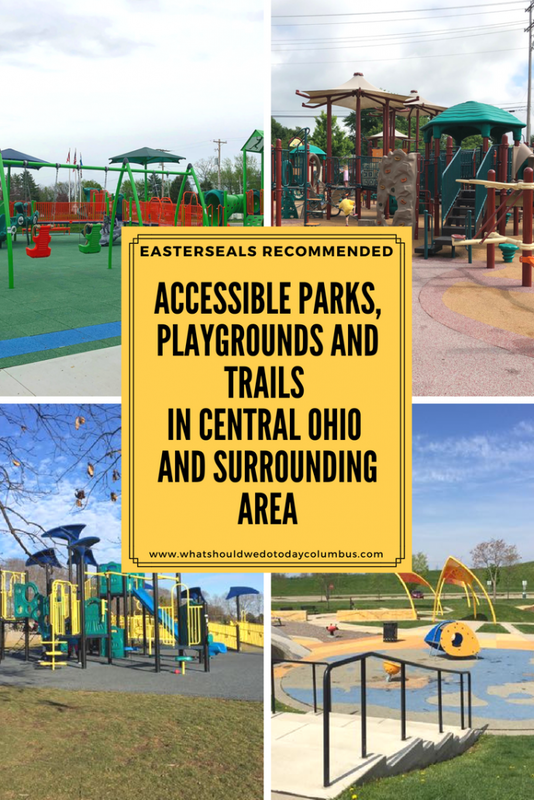 Creekside Family Day includes activities throughout Creekside Park and Olde Gahanna such as face painting, inflatables, game truck, hamster balls and other family activities set up by featured sponsors! Live music takes place on the Rotary Stage! Some events require purchase of a wristband to participate. Looking for more 4th of July celebrations around the Columbus area? 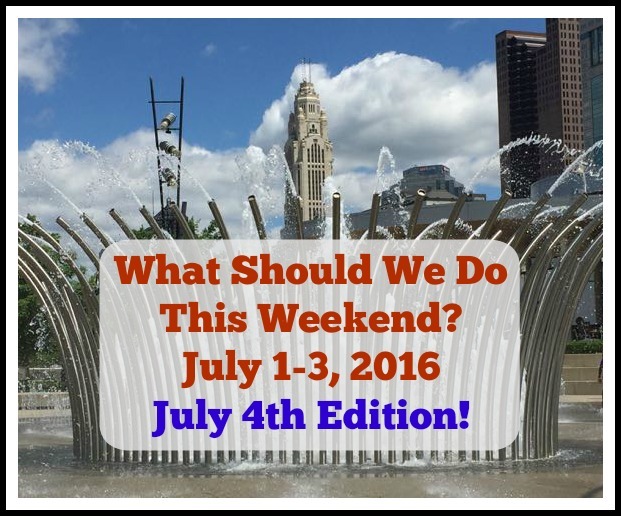 Check out the list of 4th of July Fireworks and Parades from Columbus Moms Blog. 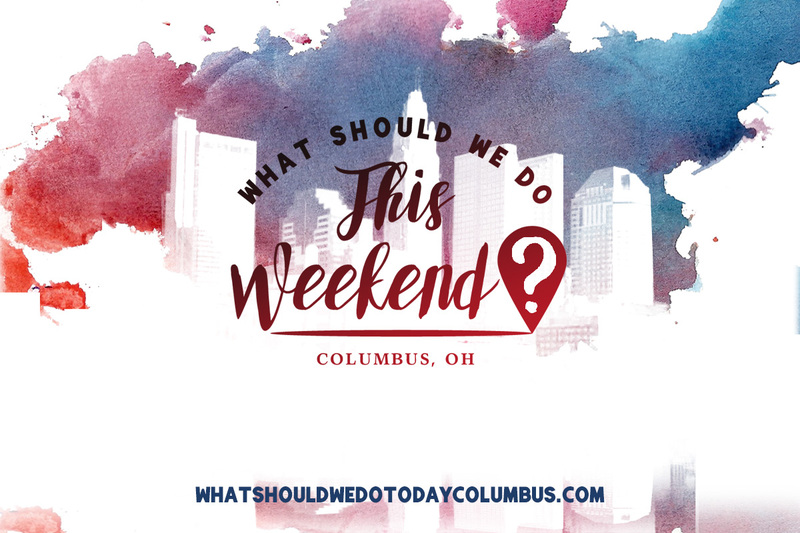 http://whatshouldwedotodaycolumbus.com/wp-content/uploads/2016/06/wkndjuly1.jpg 516 621 Julie Miller http://whatshouldwedotodaycolumbus.com/wp-content/uploads/2018/01/What-Should-we-do-today-columbus-NEW-blue_03.png Julie Miller2016-06-29 21:22:432016-07-01 08:49:49What Should We Do This Weekend? July 1-3, 2016: July 4th Edition!